What are the pages like? 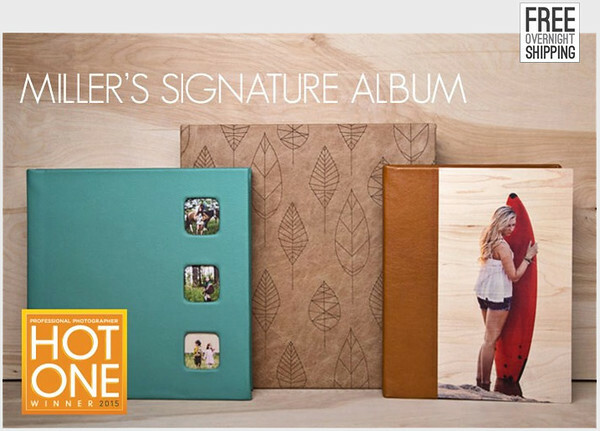 The Signature Album is the one album for all of your clients. Pages come in a choice of thick or thin. When making thick pages for the Signature Album, prints are adhered to a firm substrate, creating pages approximately 1/16” thick. When making thin pages for the Signature Album, prints are adhered to a substrate with a slight flex, creating pages approximately 1/32” thick. Can I get an album with 100 sides? Absolutely! 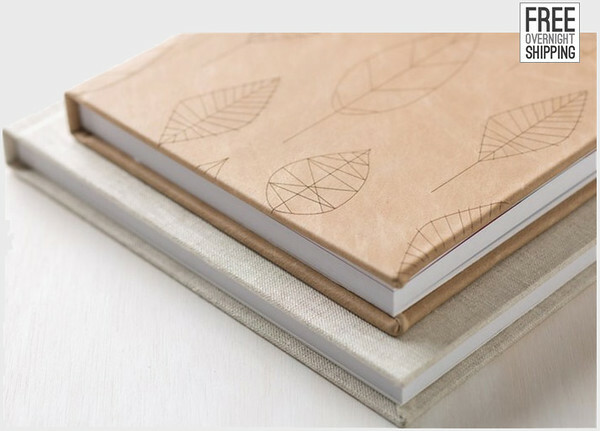 Choose thin pages and you will be able to order a Signature Album with 100 sides. The maximum quantity for thick pages is 50 sides. Do you offer cover samples? 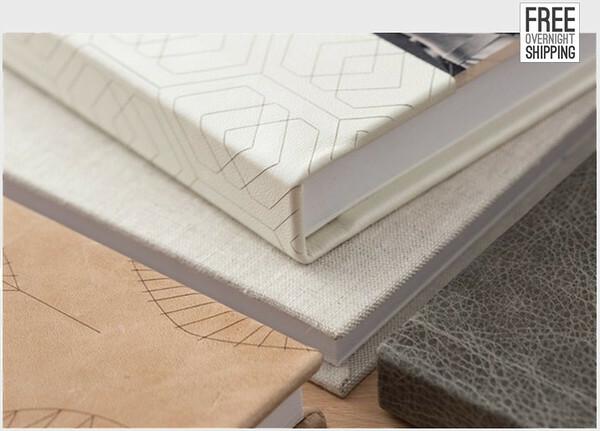 Yes, Swatch Kits for Distressed & Standard Leathers, Pearlescent & Textured Leathers, Linens, and Custom Covers. The Signature Album is the one album. Pages come in a choice of thick or thin. When making thick pages for the Signature Album, prints are adhered to a firm substrate, creating pages approximately 1/16” thick. 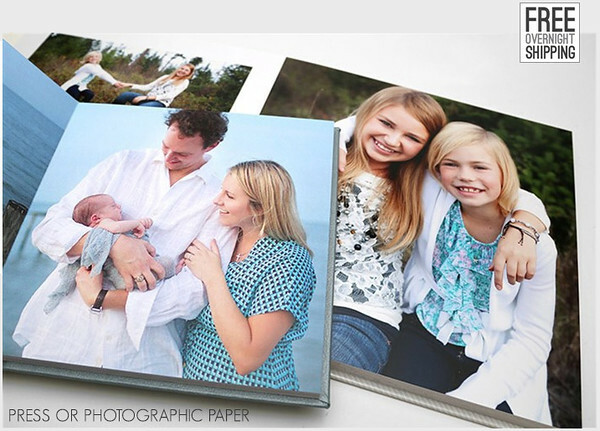 When making thin pages for the Signature Album, prints are adhered to a substrate with a slight flex, creating pages approximately 1/32” thick. Typical turnaround for albums is 2-3 days in lab. Extra services such as texture, lustre coating, debossing, foil stamping, and gilding may require additional time. Albums are delivered via free UPS next day. What are my foil stamping options? Foil stamping is available in Alana Pro and Garage Gothic font, in Black, Copper, Gold, Matte Gold, Granite, Silver or Matte Silver for Standard and Pearlescent leathers. Up to three lines of text can be stamped on the cover (28 characters per line) in the lower center or lower right corner of the front cover or lower center of the inside back cover. What are my debossing options? Imprint up to three lines of text in the center of your front cover. Debossing is available in Dessau Pro and Garage Gothic font, in *Blind (no color), Black, Copper, Gold, Matte Gold, Granite, Silver or Matte Silver for Standard Leather, Distressed Leather, Pearlescent Leather, and Linen covers. *Blind (no color) is the only debossing option available for Distressed leathers. Is the cost of the prints extra? 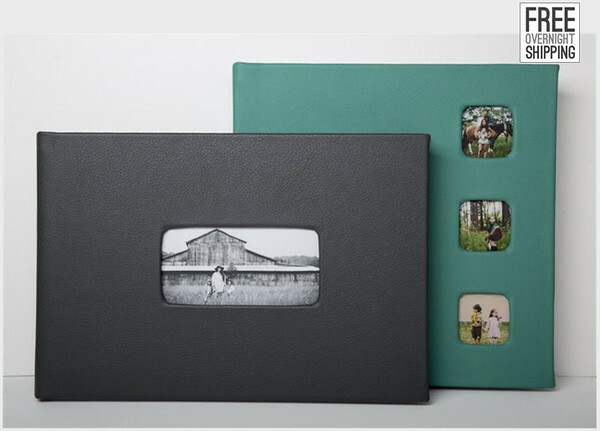 No, just pick the size and number of spreads in your album and the prints will be included in that price. How should my album page files be sized? Simply size your files to the largest size you’re ordering at 250 dpi, so a 12x12 album would be 24"x12" at 250 dpi, of course, leaving all important elements 3/8 to 1/2 inch away from the edge of the file. Please visit the How to Order tab to find PSD guides for covers. What is the bleed for the albums? Technically, there is no bleed for albums. We do however recommend leaving all important elements 3/8 to 1/2 inch away from the edge of the file. This allowance ensures critical elements will not be trimmed during album manufacturing. Can pages be added or replaced after uploading? Do your albums and books start with a single page on the right or with a pano image? When designing your Signature album, please design your first page as a panorama spread. Miller’s Signature Albums start and end as panoramas. Is it possible to order a companion album? In the Designer Plus software you are unfortunately unable to order two different size albums on the same order. It is however very easy to change the size and order a second album after the first album order has uploaded. What instructions are there to properly care for my album? Store all albums in a temperature-controlled and humidity-controlled environment to keep them looking their best. Use a soft cloth to remove fingerprints, avoiding solvents or water which could cause damage. Carefully apply a simple leather conditioner to your genuine leather album cover to remove any scratches or scuffs that occur.